A handful of happy photos and a bunch of inspirational quotes is all you need to create Personalised Calendars and Diaries that’ll help friends and family plan out their year – even if they’re getting started a little late. Opt for a traditional look with our classic Wall Calendar. 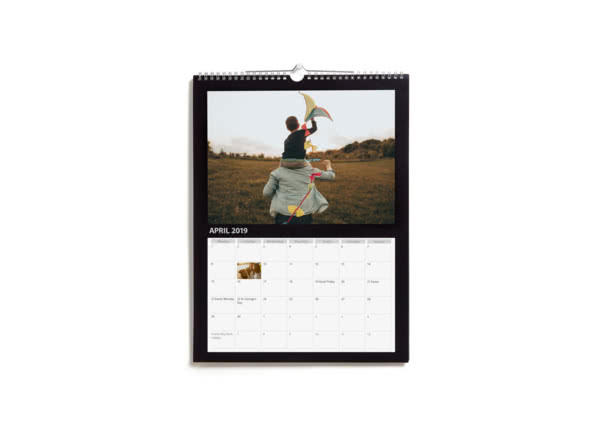 Choose our small Desk Calendar and get new pics every month to brighten up your office. Admire your favourite shots while getting organised with a photo diary. One page for pictures and one for the schedule – keep things separate with our A3 photo calendar. Go for our biggest Desk Calendar and add life to your office with a new picture every week. Plan your schedule and admire your favourite snaps on a grand scale with our biggest Photo Diary. 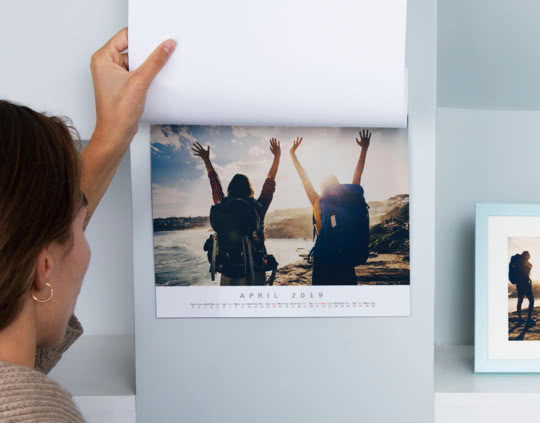 Put the focus on your photos with a poster-inspired calendar. Switch format with a Square Calendar – perfect to display all those Insta pics. Go for a minimalist vibe with this compactly-designed thin calendar. 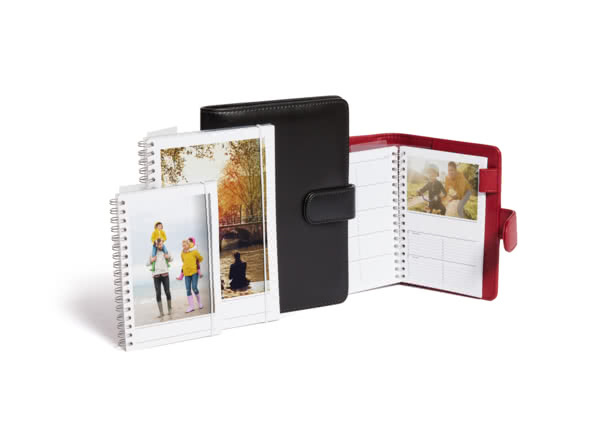 Get your family organised with a calendar that has plenty of room for notes. Get your pics from your computer, phone or social media. Choose the start month and customise any date with Photo Days. Quick, easy and secure – that’s shopping sorted. Delivered when you want. Loved all year round. Can I add birthdays and special occasions in my calendar? Yes – we call this Photo Days. For just €3,99 more, this lets you personalise as many dates as you want with a photo and/or caption. Can I choose my own start month? Absolutely. All you need to do is pick the month of your choice in the drop down menu. It’s the first thing we’ll ask you when you start creating your calendar. 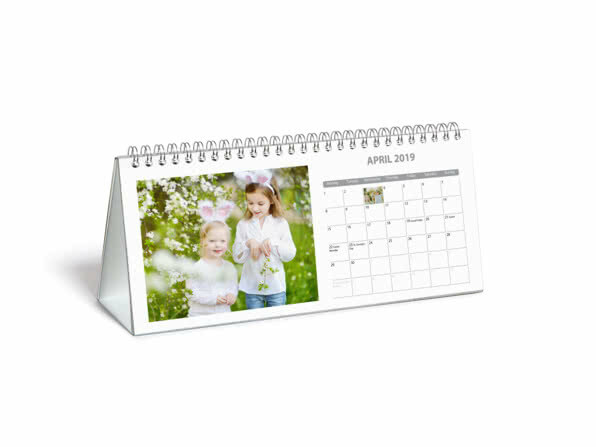 We print your photo calendar on thick 250 gsm paper. It feels like card to the touch. Can I change the background colour? On some calendars but not all of them. We recommend you check the product descriptions for more details. Are Bank Holidays shown in the calendar? They certainly are. Our Calendars show all Irish Bank Holidays. Can I still buy a calendar for 2019? Yes! You can make a personalised calendar at any time of the year. Simply pick the start month of your choice. Keep your eyes peeled for free products and exclusive offers! We’ve got several options, to suit all occasions. We always hand-check your creation, to make sure you’ll love it. Keep your favourite moments at your fingertips with a personalised phone case. Some photos are so good they deserve to be on display (you know which ones we mean!). Finally a book you’ll want to read again and again and again.